Make-Your-Own stickers come with small stickers so kids can create their own unique design. Build Mr. 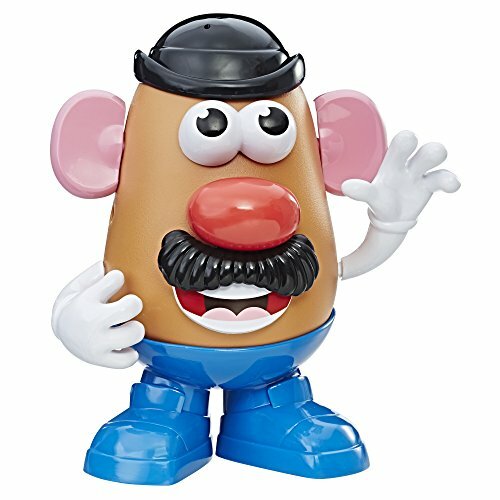 Potato Head the way you want him to look! 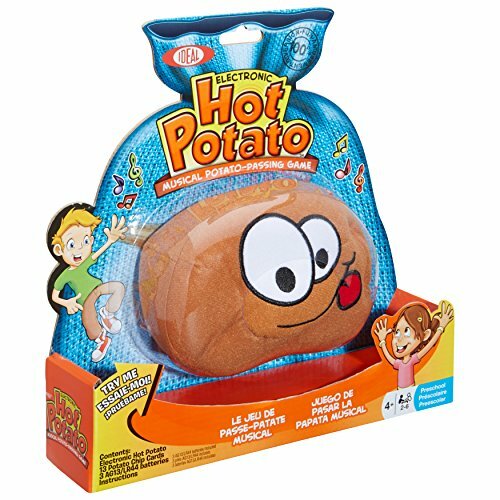 Ideal Hot Potato Musical Potato-Passing Game is a wild, frantic, laugh out loud, electronic tater-tossing good time! Designed for 2-6 players, this musical game can be played by the whole family. Just squeeze the Hot Potato to start the music and let the fun begin. 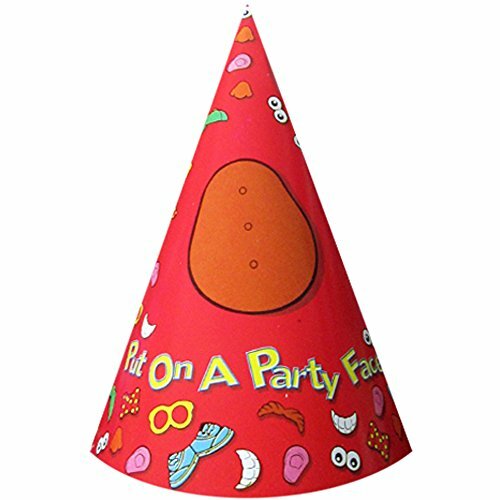 Pass the spud to the player next to you or even across the room. Toss the tater back and forth, up high, down low, around and around, but don't get caught holding the spud when the music stops! If you do, you have to take a potato chip card. Get 3 chip cards and you're out. The last player remaining without 3 chip cards is the winner! Includes an electronic plush potato stuffed with foam, 13 potato chip cards, 3 AG13/LR44 batteries and instructions. The Mr. 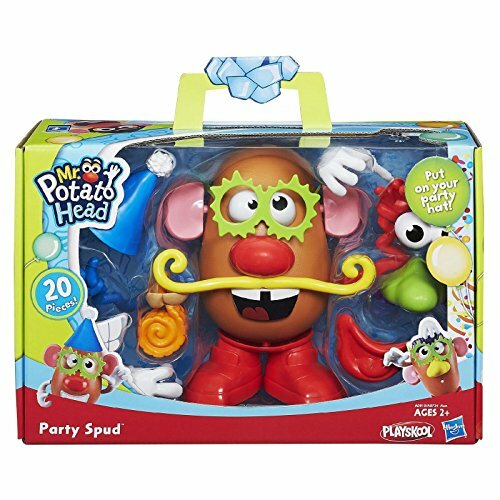 Potato Head toy is a fun and entertaining toy for girls and boys ages 2 and up. This Mr. 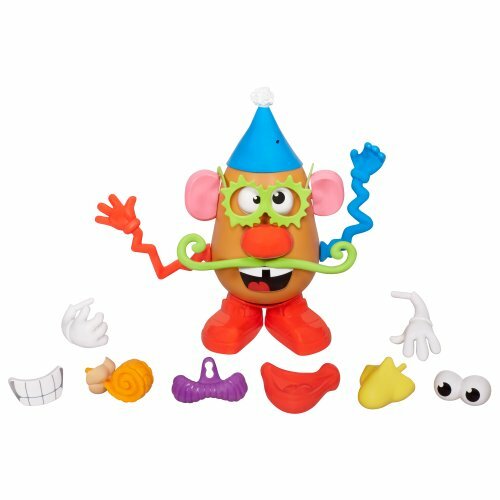 Potato Head Tater Tub set has lots of accessories for kids to make silly and wacky characters! Watch your toddler grab a nose and a mouth, create a funny face, and keep laughing with the Mr. 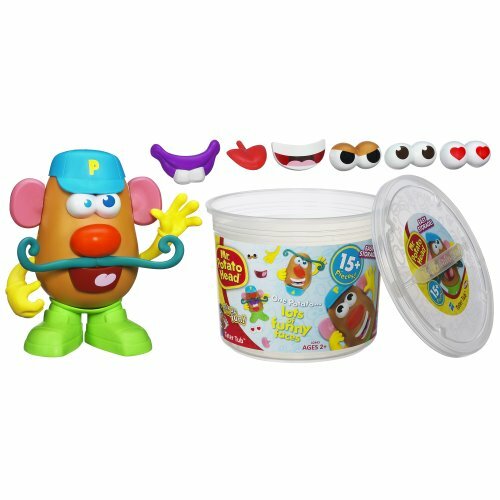 Potato Head Tater Tub set. 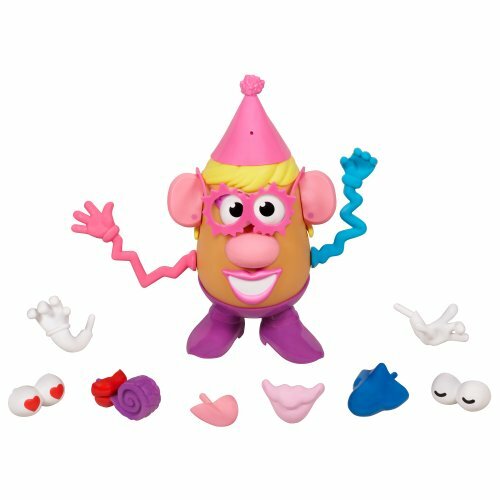 The more mixed up the combinations with the nose, ears, moustache, mouth, and other silly features included in the set, the more fun your little one will have. When playtime is over, everything fits right back into the convenient tub container. Most parts are compatible with other Mr. Potato Head and Mrs. Potato Head toys. (Each sold separately.) Mr. 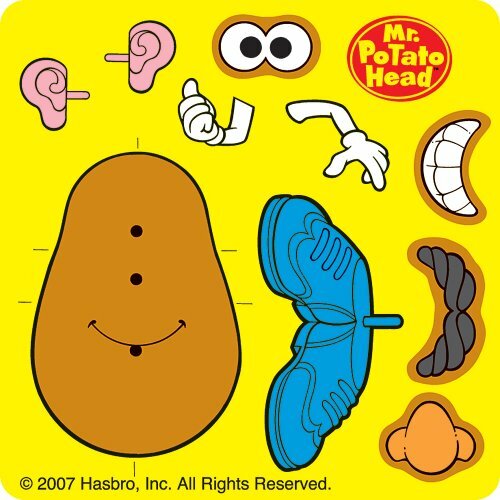 Potato Head and all related characters are trademarks of Hasbro.